Six-time Wall Street Journal Top-10 best-selling author, Audible Top-10 best-selling audiobook, and Amazon All Star! 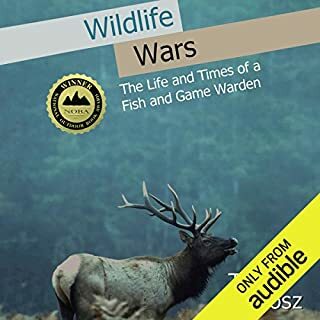 You'll love seeing Kim and a fellow ranger tested as they bravely take on the task of dealing with enraged wild boars, elk, and more. 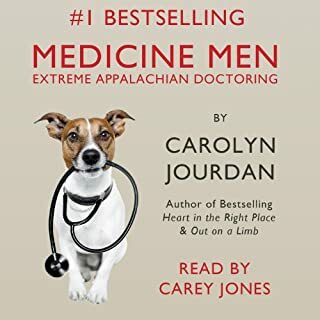 A hilarious, heartwarming, and heartbreaking memoir by the chief wildlife ranger in the number-one most popular family vacation destination in the USA, the Great Smoky Mountains National Park. 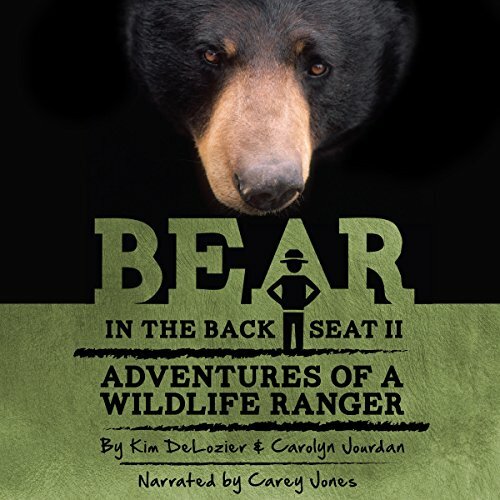 For over 30 years, Kim DeLozier acted as a referee in the wild, trying to protect millions of park visitors from one of the densest populations of wild black bears in America - and the bears from tourists who get too close. I really enjoyed book 1, but I figured book 2 would be just more of the same, and I didn’t think it would be as good as the first. I was very pleasantly surprised. The descriptions of the challenges and successes of the elk and red wolf reintroduction programs were fascinating, particularly since one of our local science museums has participated in the red wolf breeding program. This book far exceeded my expectations and I highly recommend it. I could hardly put my earphones Down. 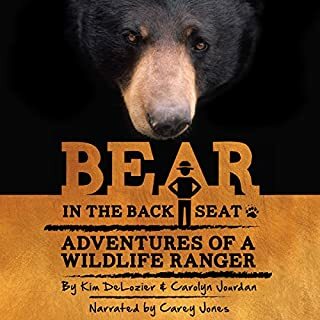 Kim is an entertaining author, and the reader made me feel like I was right there in the Smokies listening to a live wildlife ranger. Kim's stories come out of his own personal experiences. I was moved by his compassion for the animals, from the bears to the bats to the hogs to the elk. He risked his life for the preservation of the animals and for the park. He also provides guidelines for encountering a bear, and gives strict warnings about not feeding any wild animal. 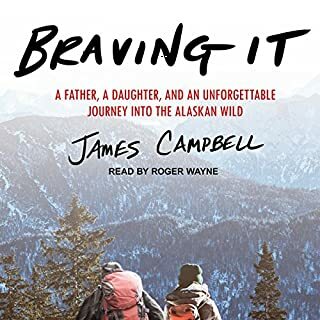 I highly recommend this book, for outdoor adventurers as well as for city slickers. 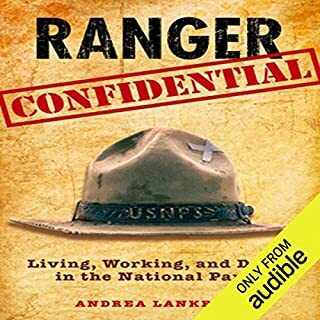 What does a Ranger Biologist do all day? Kim tells you the humorous truth of his successes and fabulous failures in the Great Smokey Mountains. This book is about another under appreciated essential occupation we need in our Nation's National Parks. These professionals keep the wildlife and the "dumb" visitors safe at their peril. 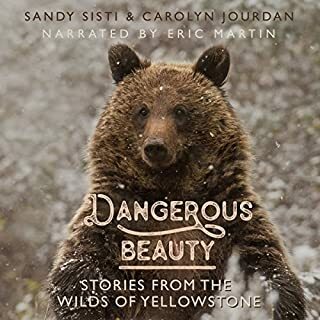 The book was entertaining but also and education in how people treat the natural wonders of our Nation. Very enjoyable. Read book 1 too. Amazing, funny and touching. Read both volumes. I can’t wait for more. I’ve always enjoyed the Smokies and now to hear someone who spent their life there has been a blessing. I thoroughly enjoyed the 1st volume in this series and the 2nd volume was just as enjoyable. Just saw that Kim has written “Bear Bloopers“ as the 3rd in the series. The narrator, Cary Jones, provides an outstanding performance!! I will be listening to this again, I thoroughly enjoyed the book, some sections were very funny, others sad and others informative. I don’t live in America so at my age I’m sad to know I’ll never see the Smokeys, the wild animals. I grew up in highlands of Kenya, it was always tourists from over seas that caused problems with wild animals. The so called Great White hunter did so much damage to the animals. To this day I hate guns and hunters or poachers.